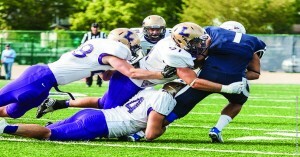 Duhawks converge on a Augustana ball carrier during their 34-17 loss Saturday in Rock Island, IL. DUBUQUE — With three games of non-conference football under their belts, the Duhawks enter their bye week with a record of 1-2. 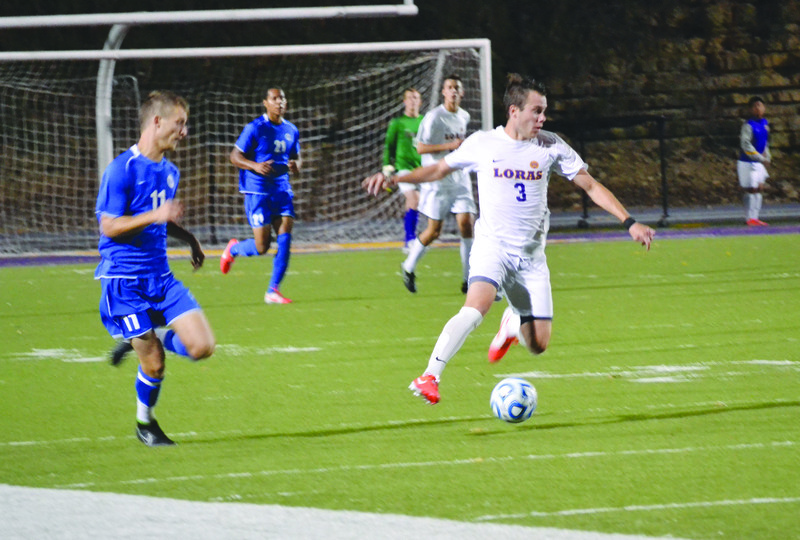 While the team’s won-lost tally may be identical to the mark Loras took into conference play a year ago, little else about the 2014 incarnation resembles its recent predecessors. Despite the offense’s early growing pains, the unit has managed to amass some fairly gaudy statistics in non-conference play. Senior quarterback Dylan Jones has piled up 935 passing yards over the first three contests, placing him in the top 10 in all of NCAA Division III football in the statistical category. 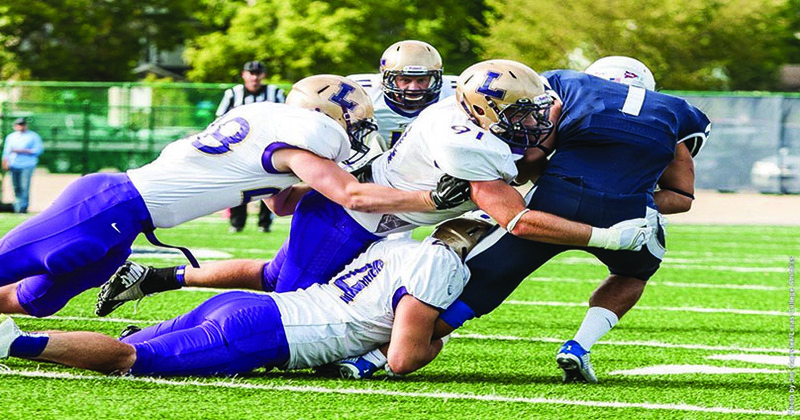 Less thinking and more reacting have translated to 15 sacks and seven interceptions for the revamped Duhawks defense; good enough to tie them for 4th and 2nd in D-III, respectively. After a dominant performance against Elmhurst in week one, and gritty showings in losses to UW-Stout and Augustana, the Duhawk defense looks poised to be the driving force of the 2014 squad. While there is plenty of cause for optimism as the Iowa Conference schedule approaches, the Duhawks are well aware of the work yet to be done.